Update: adapters for the oil pressure sender installation are available from the BigCoupe member Jordanmilos now. Last edited by Val_C on Thu Mar 19, 2009 9:09 pm, edited 4 times in total. This is a great article, at least worthy of a 'well done sir!' comment, so I thought I'd add mine. 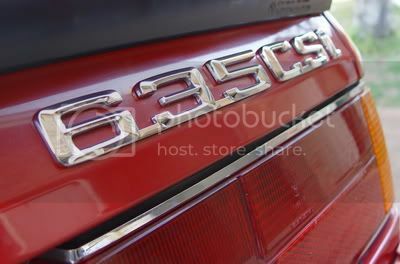 Its not something that I think I'd on my 84 UK spec 635csi, but for anyone that wants to it is packed with info. One correction (from personal experience): I would not recommend to use 1/8" NPT thread plug, when I did, it was leaking after installation like hell, I ended up with retapping it for 10 mm thread and using 10 mm bolt with crush washer. Great thread!! I Love bimmers, but the lack of those three gauges is perhaps the most annoying thing I find. If given a choice, most likely the main bone that I would pick on orwith BMW. Idiot lights just don't do it on a car with that stature. laharbimmer wrote: Great thread!! I Love bimmers, but the lack of those three gauges is perhaps the most annoying thing I find. If given a choice, most likely the main bone that I would pick on orwith BMW. Idiot lights just don't do it on a car with that stature. Not sure I agree. It's stature is that it was a high-tech luxury sports coupe. Why have gauges when you can have check lights?